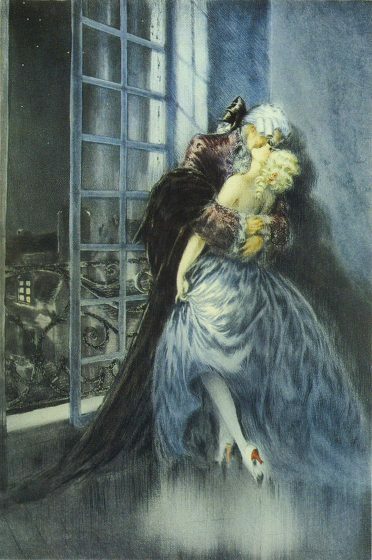 Louis Icart,　Chevalier Des Grieux et Manon Lescaut, The Lovers, 1930. We can't go back there! His eyes will find us there! My God, who is this man? ... who hunts to kill? ... this mask of death? Can I ever forget that sight? Can I ever escape from that face? And through music my soul began to soar!